The left hemisphere of the brain controls speech and language abilities for most people. However, in approximately 25% of left-handed individuals the right side of the brain controls these abilities. Regardless of where exactly in the brain this control lies, if this area of the brain is injured then speech and language skills will be affected. Strokes, brain tumours, brain haemorrhages and acquired brain injury (such as from being hit or from falling) are all means by which speech and language abilities can be disrupted. Aphasia, apraxia of speech, dysarthria and a variety of miscellaneous speech difficulties can be the result of a brain injury. Aphasia is a condition that leaves an individual unable to produce or comprehend language, often due to an injury that affects the part of the brain that controls such communications. However, depending upon the cause of aphasia, the individual may be left unable to speak, unable to read or write, both or another combination of communication difficulties. Many different types of aphasias exist, all with particular signs and symptoms. The prognosis for aphasia will depend upon the type of aphasia, the cause of the aphasia and the age of the individual involved. Apraxia of speech, sometimes also called dyspraxia, leaves individuals unable to consistently and correctly say what they mean. There are two main types of apraxia of speech. Developmental apraxia of speech occurs mainly in children and is often present from birth, but acquired apraxia of speech is mostly present in adults and is often the result of injury to the part of the brain that controls language use. The severity of this type of apraxia will depend upon the type, extent and location of the injury to the brain as well as the age of the individual involved. The prognosis for an acquired apraxia of speech will depend upon the same variables. Dysarthria is a slurring of the speech, otherwise defined as imprecise, slow and/or distorted verbal communications. Brain injury may cause dysarthria because if the area of the brain that controls language is affected, so too will be the nerves that connect to the muscles involved in making speech. If these muscles are thus weakened or begin to receive uncoordinated speech “messages” from the brain, then speech will be disrupted as a result. Often speech therapy can be successful in helping individuals overcome dysarthria. Possibly even associated difficulties with maths skills. 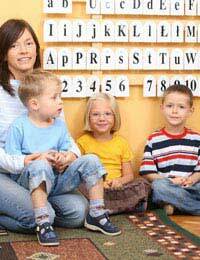 A number of organisations exist to support individuals with speech disorders and difficulties in the United Kingdom. Just a few of these organisations include The Speech, Language and Hearing Centre (www.speech-lang.org.uk) Speakability (www.speakability.org.uk) and Talking Point (www.talkingpoint.org.uk). When a speech difficulty is recognised, it should be evaluated by a medical professional. This individual should be able to offer more information on relevant support organisations. @Jues I really feel for you and you shouldn't have to bottle it up. There is help out there, it's just trying to the help that is right for you. BIRT - the Brain Injury Rehabilitation Trust helps people regain the skills lost as a result of brain injury - whether caused by road accident, assault, stroke or illness. It might be worth you speaking to them as they will be able to direct you towards any help you might be able to receive. Tel 01924 896100. Also, Headway has a free helpline 0808 800 2244 and is a charity set up to give help and support to people affected by brain injury. It offers a wide range of services, including brain injury rehabilitation programmes. You can find a local branch near you here. . Good luck, it's great that you have been brave enough to take the first step to improving your life.